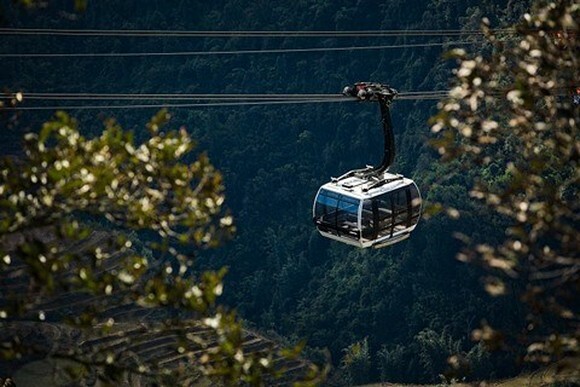 According to the magazine, thanks to the new cable car, more and more visitors have the opportunity to reach Fansipan summit with 3,143m height. But this northwestern region (far from the crowded town of Sa Pa) still has the wild, idyllic, a different world apart from the noisy urban area Hanoi, although it is only 313 km away from the capital city. Along with the culinary discoveries in the villages, visitors can also enjoy the full flavour of the highlands with traditional dishes of the Northwest locality such as Sa Pa sausage, Bac Ha noodle soup, smoked buffalo meat and sticky rice cooked by ethnic people in the highlands market area at Fansipan cable car station.